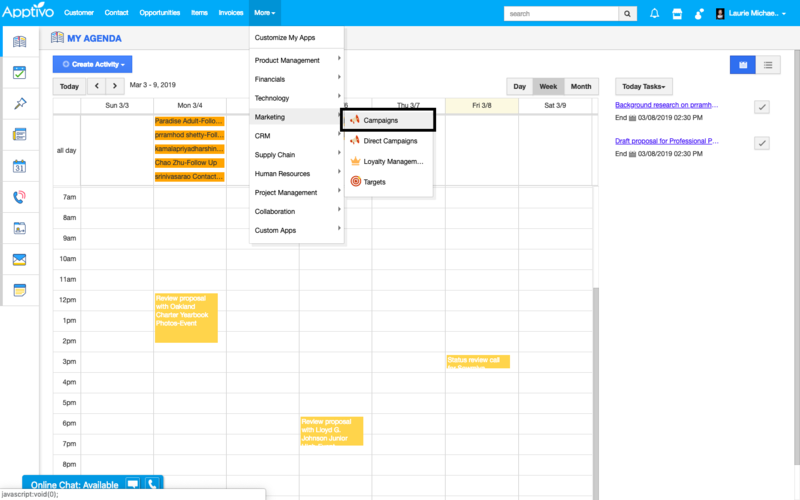 How do I Create Email template in Campaigns App? 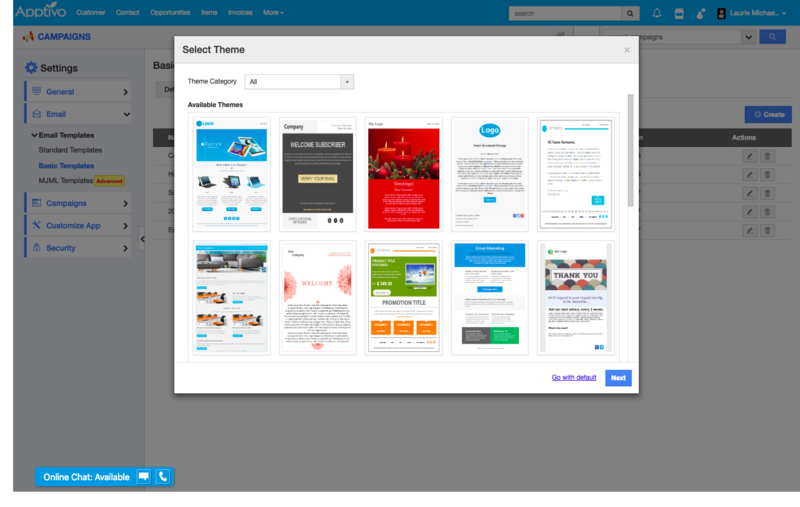 Every Business needs to communicate with its customers and to that more efficiently Email templates are one of the most effective ways to do it. 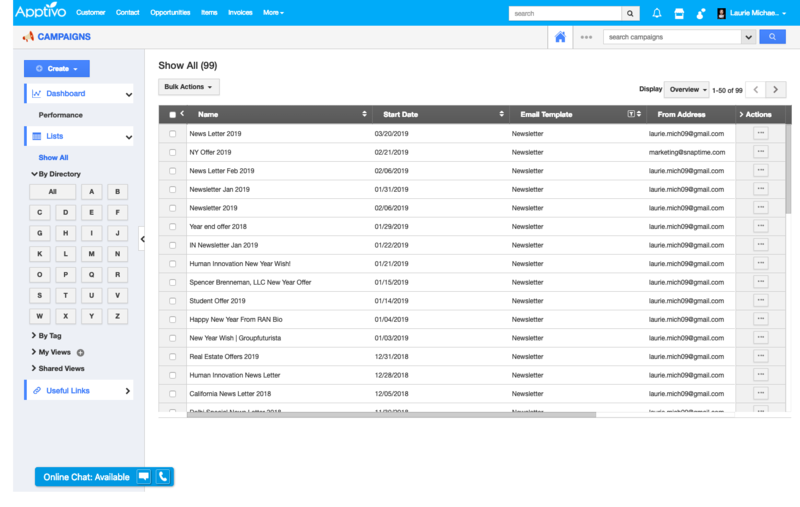 With Apptivo you can easily create an email template for email messages that you frequently send with similar contents. To create a unique email campaign to inspire your customers you can get started with choosing one from the preloaded Email Templates and customize it as per your needs. Build Your Own Template by Drag and Drop Editor. 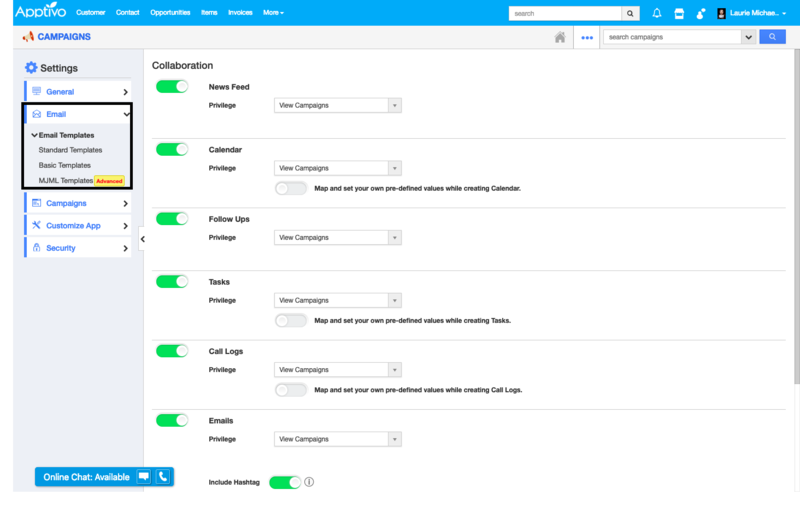 Log in and access Campaigns App from your universal navigation menu bar. Click on the "More" icon and select “Settings” located in the App header bar. Choose Basic Template from the Email Template options. If your account already had Default templates available it would show in the list or else Click on “Customized Tab” and click on the “Create” Button. Please Choose any of the “Available Themes” for your email and click on Next Button. Template Name - Name of the email template. Subject - Subject of the email template. Message - Content of the email template. 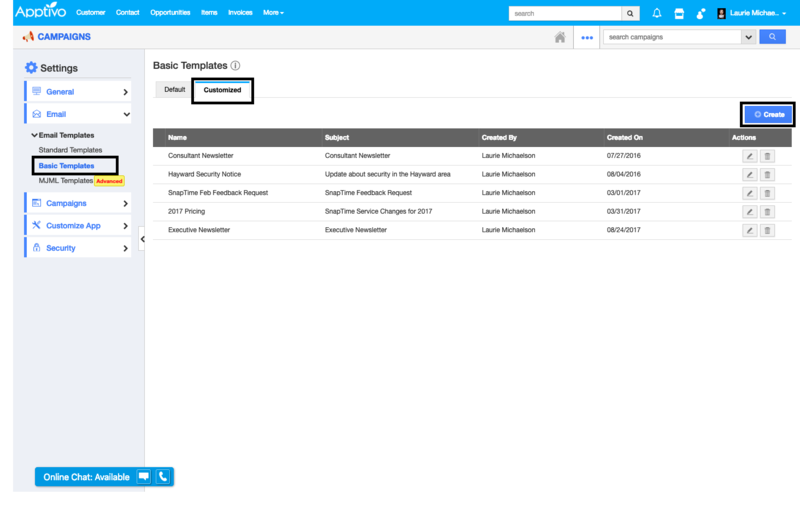 Insert Attribute - Attributes includes Business Attributes, Campaign Attributes, Custom fields etc. Available for Compose Email- By default this template will be available when composing an email. Toggle off to disable, if needed. Available for Notes - By default, this template will be available when creating notes. Toggle off to disable, if needed. 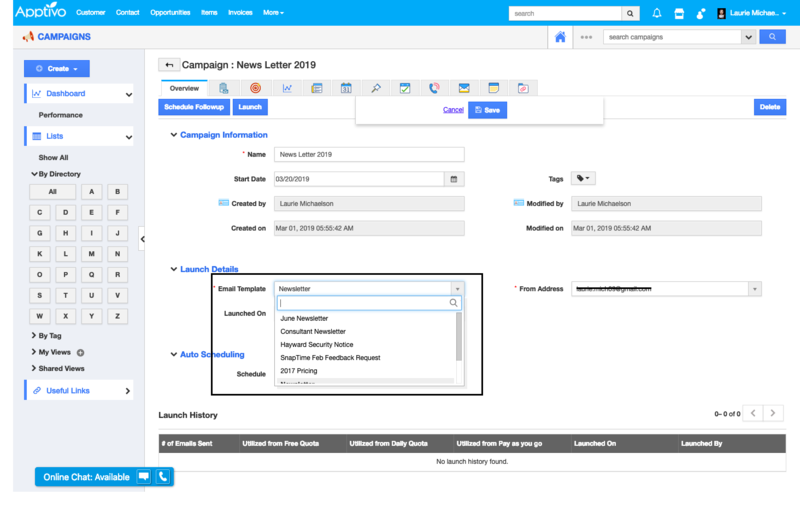 Available for Campaign Email?- By default, this template will be available while creating a Campaign. Toggle off to disable, if needed. And click on Create Button to create the template. After Creating the Email Template it will redirect you to the Customized Section which will list your newly created Email template which can be edited in the Future. 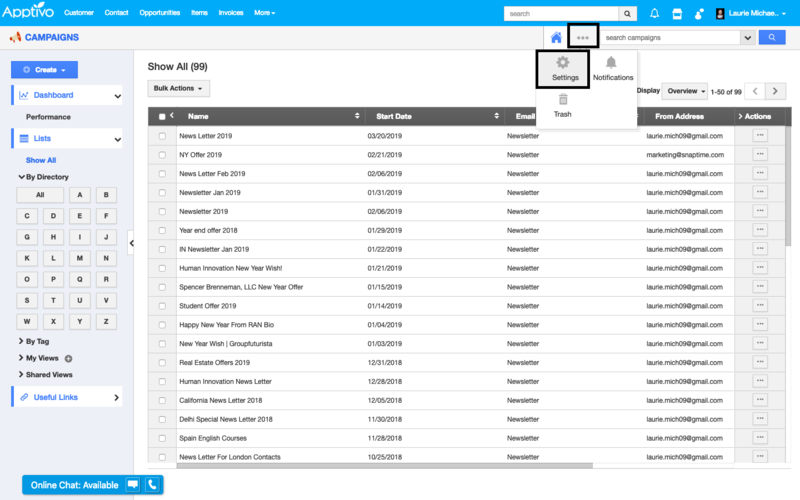 Go to Apptivo Campaigns App - Home and click on Create or Edit Existing Campaign. 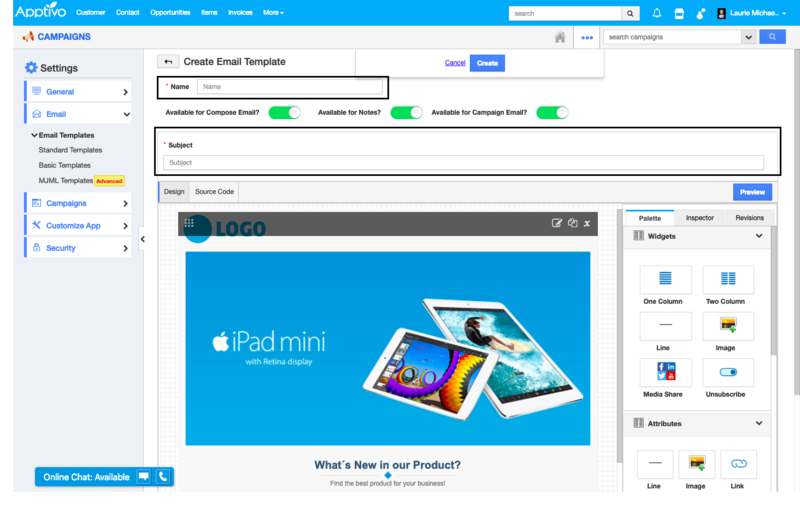 Under Launch Detail, you will find Email Template where you can select your newly created Email Template.